Most industry-leading companies already know how important it is to create alignment between their sales and marketing teams, but many fail to realize that maintaining alignment requires ongoing work and continual optimization. Today, buyers seem to be growing more informed every day. Increasing consumer awareness means sales representatives must clearly understand how to maximize the value they provide in the limited time they have by presenting a solution that satisfactorily articulates the importance and meets those needs. 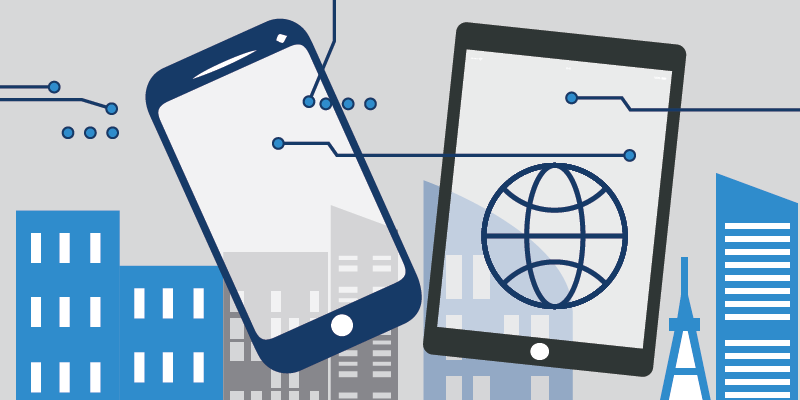 Companies who leverage the right set of customer interaction data benefit from a significant competitive advantage, and the role of technology in reaching new customers continues to grow. Many people don’t think of their sales pipeline as something that can be optimized, yet the knowledge and insights gained continuously and automatically from an expertly developed integration application environment can have a tremendous impact on your pipeline. To help simplify what you should focus on, and what you should be optimizing to maximize ROI for your organization, we’ve detailed what we look at when creating a B2B pipeline optimization model, specifically when aligning your sales and marketing teams in a Salesforce environment. What is Salesforce Sales and marketing alignment? Salesforce Sales and marketing alignment refers to aligning your sales and marketing teams in a Salesforce environment, with the ultimate goal being to increase revenue by more effective performance throughout your entire B2B pipeline. 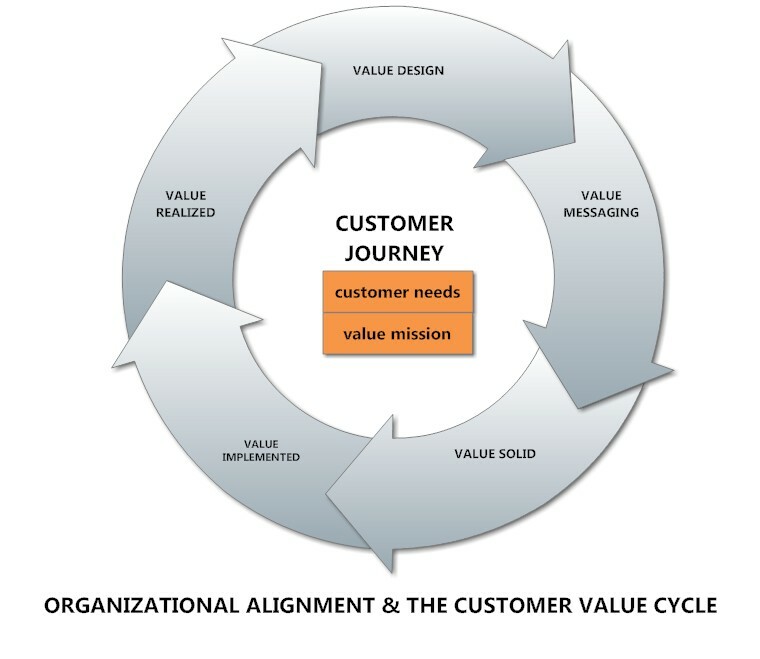 To create outstanding alignment in your organization, it is vital that there are explicit agreements and a common understanding regarding the definition of goals, priorities, process, and metrics between sales, marketing, and product/services teams. It’s essential that everyone is in alignment for every part of your pipeline. To understand how we plan, design, build and implement integrated application environments for companies integrating their marketing cloud with Salesforce, check out our post on HB SF Sales and Marketing Alignment. What is a B2B pipeline optimization model? A B2B pipeline optimization model provides a guide on how to best optimize your companies pipeline at various points along the customer journey. 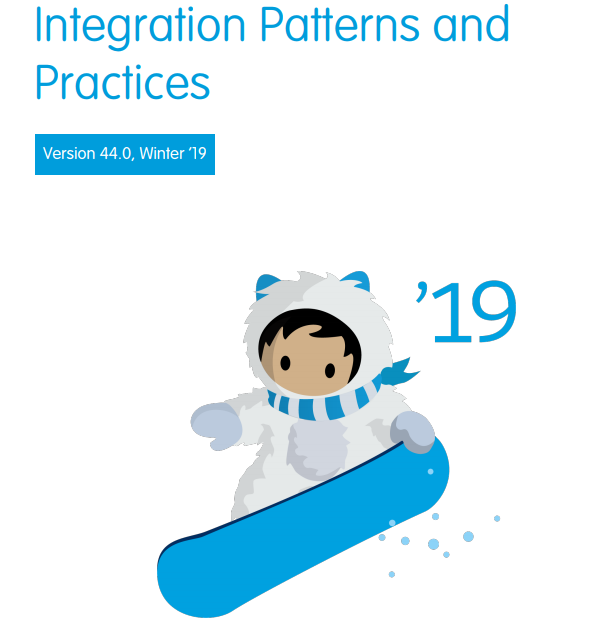 Key performance indicators, reporting tools, and analytics are consistently and effectively utilized to get the most out of your integration. As your team's collaboration improves and your pipeline grows, you’ll need additional insights about your partnerships and business processes to allow your team leaders and managers to make the best decisions possible. B2B pipeline optimization models create a plan of action from the existing digital footprint your team's activities are creating. Through the implementation of an integrated application environment, AI takes these big data sets and interprets them for us quickly and accurately. We provide the resulting business insights and intelligence in an easy to understand format, empowering both your marketing and sales teams to use their time and resources effectively. Better information means better decisions, which improves performance throughout the entire pipeline. There are three key areas you’ll see results when optimizing your B2B pipeline: Quantity of Leads, Quality of Leads, and Conversion Rate. However, it’s important to note that implementing a B2B pipeline optimization model is an ongoing process that requires consistent diligence and iteration to be truly impactful. B2B companies with active marketing organizations have numerous options and resources for increasing the number of leads generated, known as “top-of-funnel” activity in your B2B pipeline. The overall size of your sales pipeline is directly proportional to the number of leads converting into sales opportunities through the efforts of both teams; the amount and quality of the data you collect, are crucial to maximizing the effectiveness of lead nurturing. 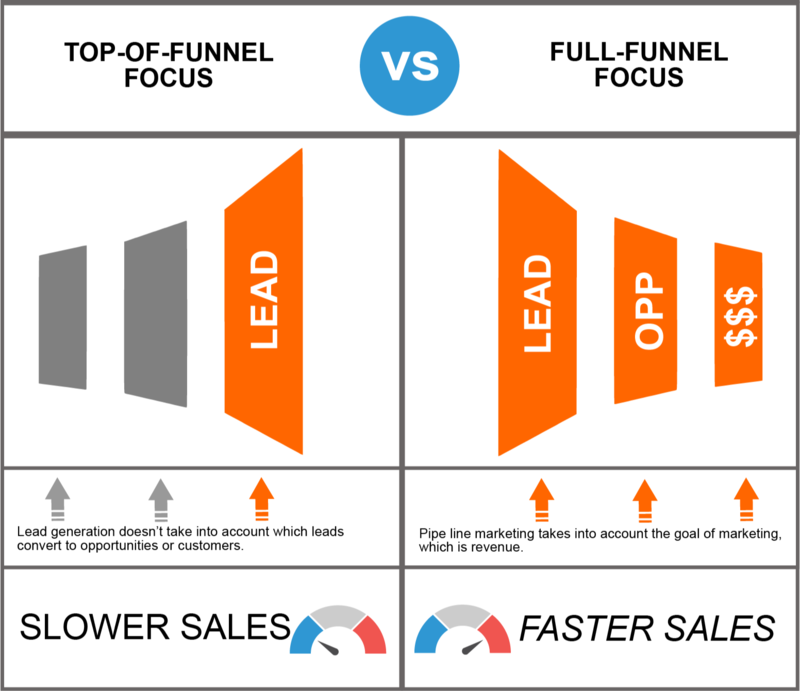 Optimizing the top-of-the-funnel segment of your pipeline requires implementing key performance indicators, reporting tools, and analytics designed to make your lead generation activities more effective. How many total leads do we need in our pipeline to reach our revenue goals? How many qualified leads do we need in our pipeline to reach our revenue goals? How many unqualified leads do we need in our pipeline to meet our qualified lead goal? While having enough leads in your pipeline is the first part of the equation, the second part of the equation is having the right leads. A quality B2B pipeline starts with creating opportunities with good quality leads. Ultimately, whether those leads are determined to be good or bad depends on the sophistication and accuracy of the lead scoring that takes place before leads go to sales. It’s essential to implement an effective sales methodology based on your customer’s expectations of who you are, what you’re selling, and why you’re selling to them to maintain a high-quality pipeline. Keeping a high-quality pipeline operating at peak efficiency requires your sales reps to proactively maintain consistent and thorough data entry, including correct sales stages, close dates, opportunity values and any upselling or bundling of associated products or services. Do we understand our customers, why they buy from us and how they make their purchases? Are our marketing and sales strategies aligned with all our buyer personas? 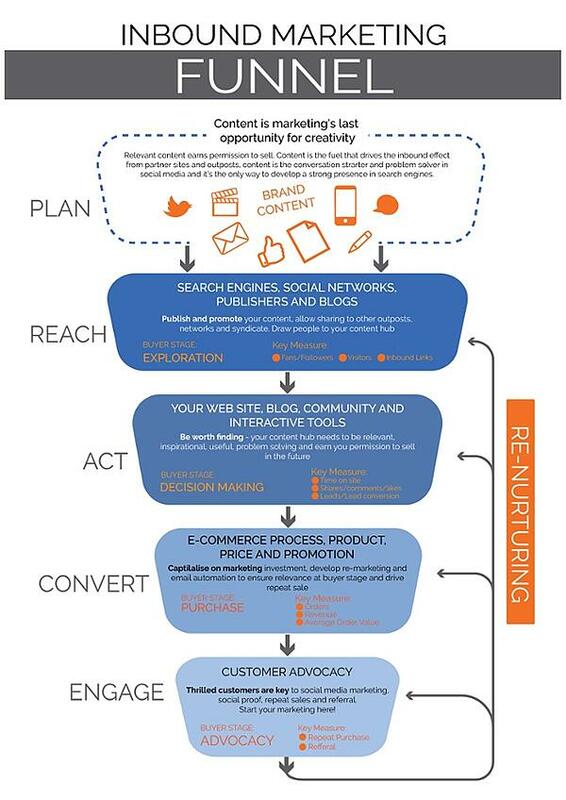 Is our customer journey optimized? How does it compare to our direct competitors? How does it compare to companies that “set-the-bar” for what consumers expect from a shopping experience, like Amazon, or Apple? Is our marketing team able to influence the overall quantity of inbound leads, deal size, deal velocity and win-rate across all territories, product lines and coverage segments? How do we measure it? Is our marketing team able to effectively create content and utilize our customer data to improve the customer experience for each of our customer personas? The final benefit of optimizing your B2B pipeline – pipeline conversion rate – is mainly dependent on the owner of the pipeline – the sales representative. It often comes down to the simple question, “Did our sales representative have the necessary domain expertise and selling ability to close this deal?” The success of each sales professional depends on their ability to execute every sales opportunity to the best of their abilities, follow the prescribed sales methodology and process, meet new expectations and client-specific needs, and to utilize the entirety of your internal resources and your partner network. The additional insights provided when you go beyond the limitations of a traditional siloed software allows both your sales and marketing teams to prioritize their resources better, improving the conversion rate of your B2B pipeline. Is our sales organization operating at an optimal level of productivity? Do we have established and efficient work-processes to support both inter and intra-organizational capabilities? Do we have a culture of accountability? Are we able to effectively leverage technology to drive both efficiency and productivity of marketing and sales? Is there a clear set of marketing-owned and marketing-supported tools used by sales during our sales processes and prospecting activities? How does marketing support the needs of sales? It’s imperative to be very specific about what you’re measuring and why you measure it when implementing key performance indicators, reporting tools, and analytics. Analytics and reporting are a significant factor in creating alignment in Salesforce sales and marketing environments, but your results will be diminished significantly if your team can’t follow along. The simplest way to structure your B2B pipeline optimization model is by associating your new metrics with the traditional funnel structure most people are familiar with seeing. Additionally, you’ll need to ensure both your sales and marketing teams understand and agree on the standard definitions that you’ll use to describe the entire customer journey. These discussions should include how potential customers enter, who manages them at each stage, what significant sales-marketing interactions occur along the way before closing the deal, lead qualification criteria, sales stage trigger events, and probability-of-close percentages. Starting with the beginning of the customer journey, integrating your marketing automation software with salesforce creates powerful capabilities for your organization. We design and implement a solution that allows your team to make better, and faster, decisions about which of your marketing activities are impactful. Subscriber – Whenever someone opts to receive future communications from you but isn’t quite a lead, they’re a subscriber. Nurturing long-term relationships with subscribers by offering them valuable content that increases the chances that they will take their next step in the customer lifecycle. Leads – Leads have shown more interest in what you offer than subscribers have. Many businesses utilize the lead lifecycle stage for general or broadly appealing contact with your company. As each lead demonstrates sales readiness and qualification, they move to further steps. Most Valuable Leads: Are you targeting the most valuable leads? 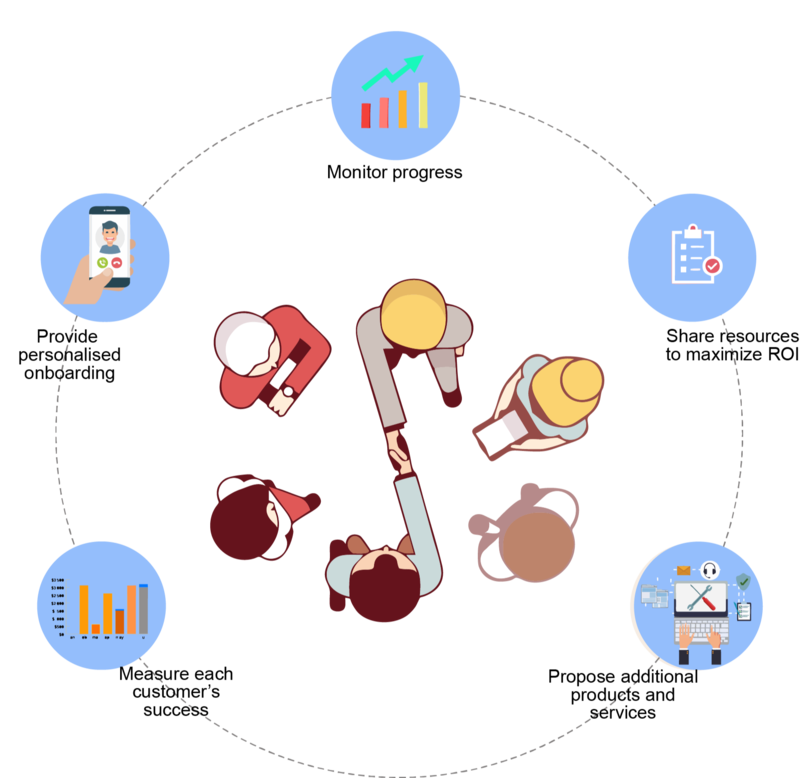 Our solution makes examining how customers sought the information and determining which value propositions resonated with your unique customer personas simple. Content: Within the second layer of the funnel, optimization takes place within three specific content generation tactics: utilizing a multi-channel messaging strategy, improving thought leadership positioning, and segmenting the content’s delivery. Optimizing content to deliver maximum value to each of your unique buyer personas can take some time. According to Hubspot, Marketers reported measuring the ROI of content is the single greatest challenge they face. Our complete integration makes this process much easier for your marketing team, allowing them to produce content that’s timely, relevant, and valuable. Qualifying Leads: Our solution takes your company as close as possible to full attribution of your marketing leads. Without knowing what tactics, channels, and content is contributing to your conversion efforts both the quantity and quality of your inbound leads will suffer. Enhancing Lead Nurturing: The nurturing tactics and associated lead scoring employed needs to be iterated continuously as your customers, and the marketing they’re exposed to, changes over time. The importance of lead nurturing is not to be understated. Research conducted by Forrester has shown that marketers see an average 20% increase in sales opportunities from cultivated vs. non-nurtured leads. Furthermore, the study also reveals that companies that excel at lead nurturing generate 50% more sales at a 33% lower cost (Forrester, 2014). Our complete integration of Pardot, Hubspot, and Salesforce allows your team to see which nurturing is effective, and which need refinement. During the middle-of-the-pipeline stages when a qualified lead is passed to sales, integrating your marketing automation software saves your team time and enhances your customer's experience. We design and implement a solution that allows your team to make better, and faster, decisions about which of leads are ready to be contacted for sales, and which leads need more nurturing. MQL – Marketing Qualified Leads, commonly known as MQLs, are more deeply engaged, sales-ready contacts than your usual leads, but have not yet become fully fledged opportunities. Only allow specific, designated forms that signal high purchase-intent to catalyze the promotion of a lead to the MQL stage, specifically those that gate bottom of the funnel offers like demo requests, buying guides, and other sales-ready calls to action. SQL – Sales Qualified Leads are accepted as worthy of a direct sales follow up. Salesforce Sales and Marketing alignment requires your sales and marketing teams to stay firmly on the same page concerning the quality and volume of leads that you are handing over to your sales team, as well as on the timing of the lead handoff—when that lead gets sent to sales. Once a lead hits a certain score threshold in your marketing automation tool, your lead becomes an MQL, and your lead qualification team can get to work. Your lead scoring system plays an oversized role in the middle of your funnel. Making sure the good leads get to the right person quickly is essential in converting opportunities to customers at the maximum rate for your company. As your B2B pipeline becomes bigger and bigger, it becomes increasingly important to consistently improve the scoring of your leads so that your sales team’s time gets distributed effectively. Integrating your marketing automation and Salesforce CRM software is essential to creating a lead scoring system that produces the ability to optimize and maximizes the effectiveness, of your B2B pipeline. Lead source - The channel your potential customer utilizes can have a significant impact on what follow-up tactics they’ll be most receptive to receiving. When you segment your prospects and customers this way, you may also discover that a majority of your sales come from one or two lead sources, allowing you to reallocate your budget for future lead generation appropriately. Company category, industry, or type - Segment your potential customers according to the sectors in which they operate and consider who your customer’s customers are. B2B companies have different needs compared to business-to-consumer brands, and goals and challenges frequently vary widely by industry. Company size - When differences in buying patterns appear, you can customize your tactics on how you sell to small businesses and large enterprises. Product lines - Although your customer may only be interested in a single offering, your sales team can often sell multiple solutions to the same customer. 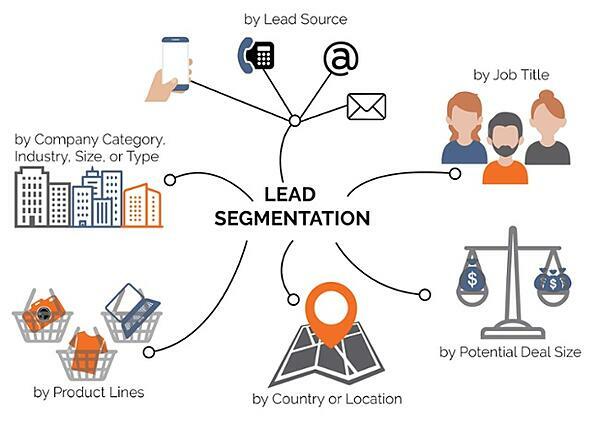 Because each product comes with a unique sales pitch, some leads are best segmented according to the products or services they seek to purchase. Country or location - Businesses abroad typically have their own unique culture regarding a good sales experience..
Job title - Depending on their role and influence in the company, the time and what they want to see can vary greatly. Potential deal size - Filter your opportunities by possible deal size. Customers follow different purchasing paths when they are considering licensing a $1,000 purchase compared to a $50,000 investment. Prioritizing opportunities according to estimated deal size can be a great way to utilize your existing resources more efficiently. Behavior Indicators - A lead might be a good fit for your product, but if they’re focused on other priorities, now might not be the best time. Alternatively, if you wait too long to pass a lead to sales, you might miss the opportunity entirely. Incorporate a Decay into your scoring to demote stale leads in the priority list over time. - After a set period, inactive leads should disappear entirely from view because of the decay, moving upwards in the funnel towards the subscriber stage. Because developing an initial scoring system can only be the best guess, all these scoring methods are subject to incorrect assumptions, requiring testing, analyzing, and iterating the assigned value and decay factors continuously and routinely. Complete Integration models allow you to go beyond simple lead scoring to identify the significant signals amongst the noise. The final stages in your B2B pipeline benefit enormously from integrating your marketing automation software with salesforce creates powerful capabilities for your organization. We design and implement a solution that allows your team to make better, and faster, decisions about the quality of your inbound leads, the effectiveness of your sales team, and how well your Smarketing team is working overall. Opportunity – When your sales team has successfully connected, and the prospective buyer has indicated they’re interested in your company, they’re officially an opportunity. Customers – This one’s easy: when the deal is closed! Evangelist - The advocates for your business. They are usually a small but vocal group who will refer new business to you unsolicited. Leveraging their networks often bring in new customers and help you reach leads you may not have been able to otherwise. Other - Other is the wildcard lifecycle stage in that it can be used for a variety of scenarios, as defined by your business. Some example uses for this stage include: closed lost opportunities, customer renewals, and key accounts. Keep in mind that while the definition of Other is entirely up to you, this is always the last stage of the funnel. Automating and ensuring accurate data sharing between your teams creates a seamless experience for your customers as they transition from marketing to sales while maximizing immediate follow-up efforts on hot leads. By creating an integrated application environment, your marketing automation data syncs automatically with Salesforce CRM. Your marketing data can be transferred directly to your sales team in Salesforce, notifying your sales team about lead activity in real-time as they move through the journey stages. The point of all of this is bottom line performance. Without alignment on both strategic and tactical levels, sales and marketing teams will not be able to work together as a cohesive team over the long-run. Companies that choose to make alignment a priority will see a significant impact on revenues and profitability, however, it is all too common to see failures in bridging the gap between intention and reality. There are many benefits from integrating your marketing automation platform and Salesforce CRM. However the most important is the capabilities your organizations will gain regarding measurement and iteration. Successful implementation of KPI’s reporting and analytics are critical to any successful attempt at sales and marketing alignment, directly resulting in a better experience for your prospects and customers. There are no shortcuts to creating sales and marketing alignment in Salesforce environments, and it’s a process that requires ongoing optimization. The methodology to develop your B2B pipeline optimization model described above is essential in continuing the momentum of your alignment efforts moving forward. How to tackle revenue growth in Salesforce integrated environment? 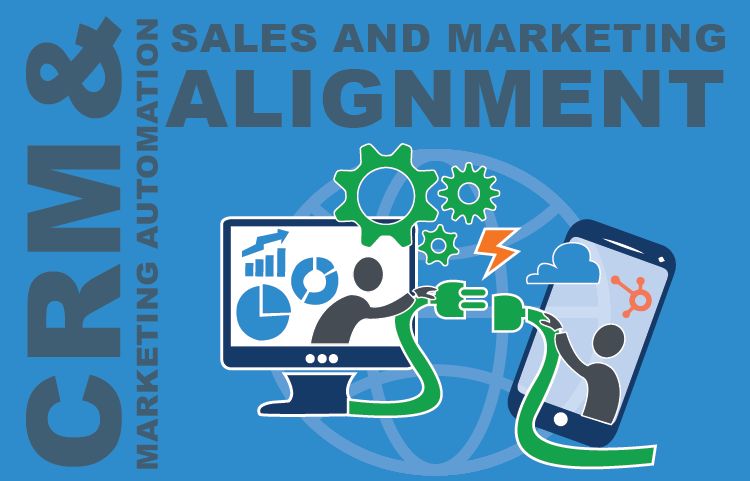 What is sales and marketing misalignment in salesforce integrated technology stack? Stewart former Director of Market Development and Innovation - Inbound Marketing Strategies and Educational Technology Platforms at Cetrix Tech is now directing our Salesforce Higher ED solutions. 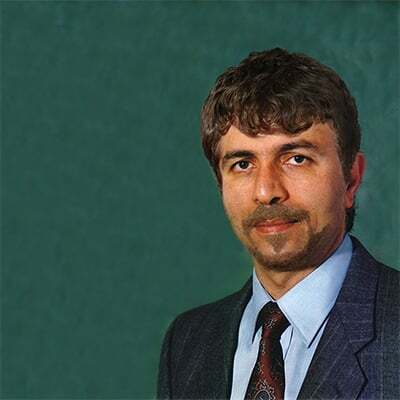 An evangelist of 21st century Education Technology, he is a regular contributor in this blog. He writes to share ideas in helping others in the transformation process and tackles technology integration in the active learning process in depth. The bespoke link between HubSpot and Salesforce meant increased productivity and reduced redundancy of data. This document is for designers and architects who need to integrate the Lightning Platform with other applications in their enterprise.